Robert joined Bourne Partners in 2010 as part of the healthcare investment banking team. He is responsible for supporting the firm’s M&A assignments and private equity investments. He works directly with some of the firm’s portfolio companies, helping with ongoing business development and deal execution. 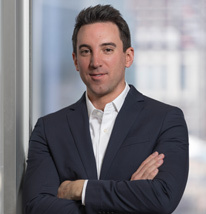 Prior to Bourne Partners, Robert was an Analyst at BB&T Capital Markets in the Structured Finance investment banking group where he helped provide derivatives and securitization solutions for the firm’s clients. Outside of work, Robert enjoys golf, tennis, and hanging out at local breweries or the Whitewater Center. He is also involved with the Friendship Gardens and Hands On Charlotte organizations.